Will Apple embrace dual-SIM tech? The countdown continues to the iPhone XI, or the iPhone 9, or whatever Apple is calling this year's devices, and the latest rumor to reach us involves the technical configuration of one or more of the new handsets: specifically, that a dual-SIM might be involved. That's according to sources speaking to the 21st Century Business Herald in China. Apparently models for some countries will use a standard dual-SIM tray, while others will incorporate a standard SIM and the bespoke Apple SIM you can already find in some iPad Pro models. At this point it's not clear which of the three 2018 iPhones will get the tech. The Herald doesn't have any previous form in predicting Apple's hardware moves, so take this report with several grains of salt. That said, respected Apple analyst Ming-Chi Kuo has previously hinted that dual-SIM technology could arrive in this year's iPhones. Being able to manage two numbers from one phone is a feature a lot of users in developing nations rely on – and that's part of the reason why the iPhone lags behind Android outside the US. The global appeal of the iPhone would certainly get a boost. At the same time, we know that Western carriers aren't keen on dual-SIM technology, because of the money they make on international plans. With recent changes in roaming charges, there might be some flexibility on that front now, though we'd still be surprised if dual-SIM models arrived in the US and UK. In September, we should find out for sure – in the meantime, file this in the "possible" column. 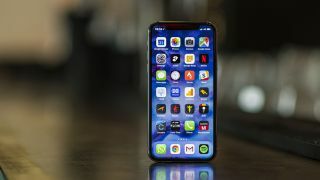 You can also expect the usual speed bumps in terms of performance, an iPhone X-esque notch design across all the models, and of course iOS 12.